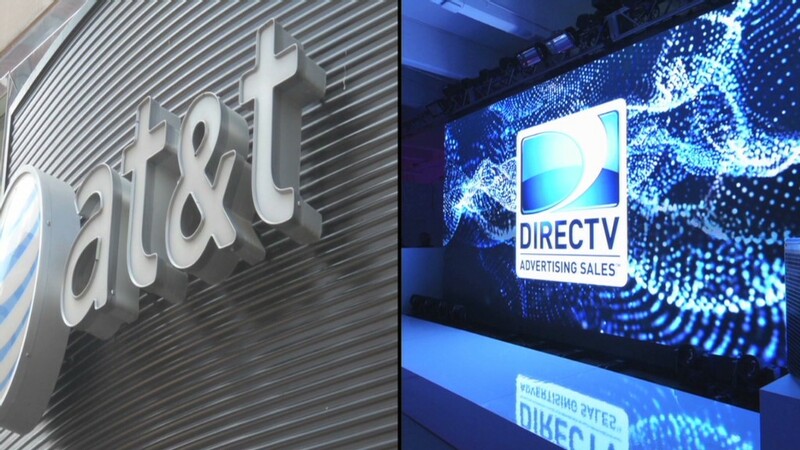 AT&T's $49 billion acquisition of DirecTV is inching toward the finish line. Top executives from the two companies met with Federal Communications Commission staffers in Washington on Thursday, according to people with knowledge of the meeting. At the meeting, which was held at FCC headquarters, the executives discussed the conditions that the companies have proposed to assuage possible government concerns about the deal. Regulators routinely impose conditions on deals. But in this case, the likely conditions aren't said to be particularly onerous. The regulatory review hasn't been characterized by the kind of hostility and doubt that accompanied Comcast's bid for Time Warner Cable. Conventional wisdom in the industry is that it will be approved. But the review has taken a long time: AT&T and DirecTV announced their proposed combination back in May 2014. Since then, Comcast gave up on Time Warner Cable, citing the government's opposition, and a new cable provider, Charter, stepped forward to buy Time Warner Cable. Now the Charter-Time Warner Cable merger is starting to be scrutinized by the same regulators who are almost finished with AT&T-DirecTV. Thursday's meeting is the latest indication that the review process is nearing its end. The executives previously met with the FCC staffers on May 21. "We discussed the substantial, direct and verifiable benefits that the AT&T/DirecTV merger will deliver to tens of millions of consumers," an FCC filing by the companies said. The Washington Post reported earlier this week that AT&T "is prepared to accept aspects of the net neutrality rules" that the FCC recently adopted. The FCC is sure to impose that as a condition of the deal. One of the next steps is a formal staff recommendation for approval, which may go to the commissioners as early as next week, according to the people with knowledge of the meeting. They spoke on condition of anonymity due to the sensitivity of the matter. Representatives for the FCC and the companies declined to comment on Friday. In late April, John J. Stephens, AT&T's chief financial officer, told investors that "we expect the DirecTV transaction will close this quarter," which is expected to happen on June 30. Why has this process with the government been smoother than Comcast's? For one thing, AT&T and DirecTV aren't big owners of programming, like Comcast, so there aren't the same sorts of concerns over anti-competitive behavior. And, very importantly, they don't provide broadband to nearly as many homes as the combined Comcast-Time Warner Cable would have.